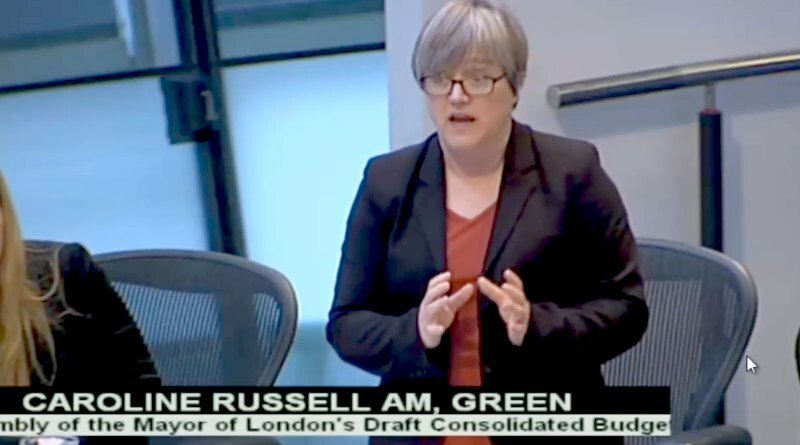 Today in the Assembly, Caroline Russell put forward a cross-party amendment to the Mayor’s budget asking for measures to cut traffic and introduce cheaper off-peak fares before 7.30am. Seconded by the sole LibDem Assembly Member, Caroline Pidgeon, the amendment sets out steps towards a fairer transport charging system in London which shifts a small proportion of Transport for London’s income from fare payers on to people driving. The two AMs are proposing a new lower off-peak fare on the tube, TfL rail and the London Overground with half price travel on oyster pay-as-you-go and contactless before 7.30 am. In addition, they propose that the Mayor funds a new study on smart road charging options for London, as people in cars and vehicles currently contribute far less to TfL than the £5 billion farepayers will provide in 2017/18. The reduced fares and the study would both be funded by increasing the standard daily Congestion Charge for non-residents from £11.50 to £14.50, which would raise around £300 million per year. An added benefit would be a predicted 7.5 per cent drop in people entering the zone in cars incentivised by the higher charge. “The current transport charging system weighs more heavily on commuters using London trains, tubes and buses than those who use vehicles that increase air pollution and make our streets congested and unpleasant to use. This is clearly unfair. “In the long term, a smart road charging system would fix that and spread costs more fairly, which is why it’s so important to conduct a study looking at how it could work in London. “Cheaper fares for TfL Rail journeys that start before 7.30am will help the pockets of some of the lowest paid workers in London. It will directly help cleaners, security staff and other low paid workers who get to offices and places of work long before most other people, but can’t afford to buy upfront a monthly let alone a yearly travelcard.